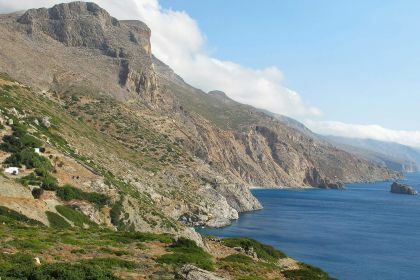 Shaped like a seahorse and situated on the southeastern arc of the Cyclades, Amorgos might be a comparatively small island, but it is packed with delights: mountains, cliffs, beaches, tavernas and some of the bluest water on the planet. Memories are made here – whether it’s hiking to the monastery with loved ones or snorkelling in the crystalline waters made famous by cult diving movie The Big Blue. 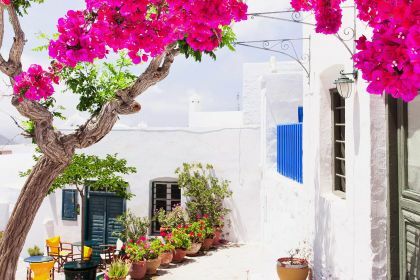 Call or contact your friendly Abberley charter broker here for assistance in planning an unforgettable yachting vacation in Amorgos and the Cyclades. 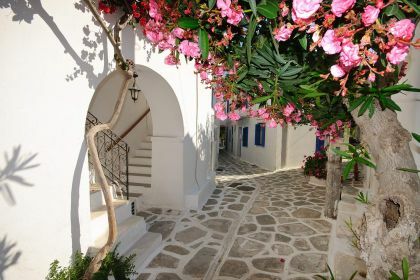 Amorgos is close to Leros, Ikaria and Kalymnos, Naxos and Paros, which means a tailor-made itinerary will give you a perfect mix of exclusive experiences. Ferries to the island are infrequent, which means you will have the pick of many beauty spots. The southeast coast comprises cliffs that plunge into the sea, but the northwest offers gentle mooring in the sheltered bays of Katapola and Aegiali. Breathe in the scent of oleander as you wander up the cobbled road to Hozoviotissa. Startling white and built into a cliff face, Hozoviotissa is the second oldest monastery in Greece, built in 1017. Step into its cool interior and quench your thirst with water, coffee or raki, then head to the top terrace for stunning views of the turquoise Aegean Sea. Agia Anna - the setting for much of The Big Blue - lies below the monastery. With its small, secluded pebble beach and brilliant water, it’s the perfect place to swim, snorkel and unwind with loved ones. Mourou Beach is great for snorkelling and caving, but if you prefer a more organised beach outing, Aegiali offers sun loungers, sand, tavernas and bars. It’s all about balance in Amorgos, where you can pamper yourself with fresh, healthy food and then dive into a staggering array of delicious desserts. Amorgis in Aegiali is all about fresh, local ingredients: squeezed juices, smoothies and scrumptious omelettes. Capetan Dimos in Katapola is an authentic, family-run restaurant with traditional live music, proper moussaka and Greek pizza while Kallisto in the main town serves unbelievable desserts, from artisanal ice-cream to lemon and fruit pies. Aegiali, Katapola and the capital, Hora, have a selection of relaxed, vibey spots. Bayoko in the main town is a great place for a sundowner – the cinnamon-flavoured pismeni raki is popular. In Katapola, Le Grand Bleu bar pays homage to The Big Blue with screenings of the movie and seductive blue lighting. In Aegiali, Nissi Café Restaurant is right on the sand while Disco The Que beach café offers a range of music, including live performances by local artists. Ready to succumb to Amorgos’s big blue? 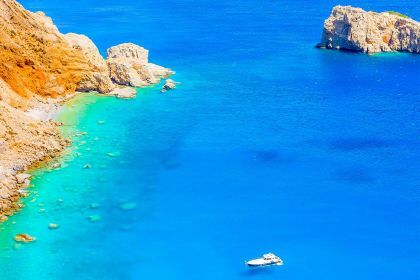 Give us a call or leave a message in the form below and we’ll help you have a dream yachting holiday in the Aegean Sea. Insider Tip: When visiting the Hozoviotissa monastery, men must wear full-length trousers and woman must wear skirts or dresses that are knee-length or longer.